Located west of the Elysium Volcanic complex, Hebrus Valles is a complex channel system that flowed to the north. 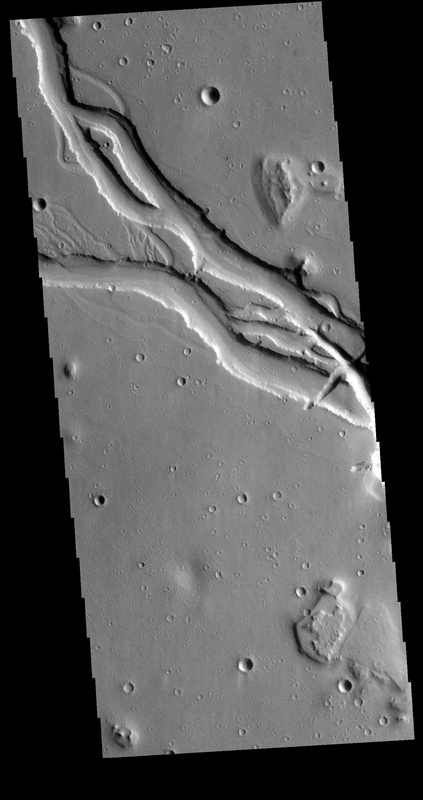 In this VIS image the channel features have the appearance of a channel formed by liquid flow. In other portions of the valles, there are pits and collapse features which appear to have formed by material falling into subsurface voids. This is a common feature in regions of volcanic activity where lava tubes run below the surface. 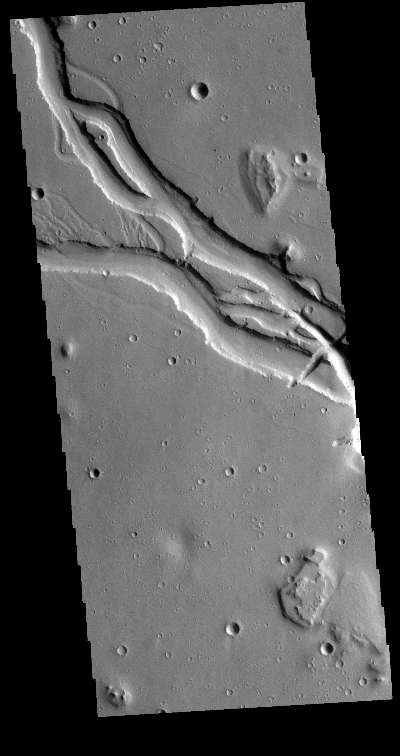 Both water and lava probably contributed to the formation of Hebrus Valles.